Ice dams are caused by a certain type of roofing damage and spawn other types of roofing issues. It is formed by insufficient attic insulation and poor ventilation. The heat from the attic raises the roof temperature, melting the snow on top, which then refreezes at the edge of the roof. This cycle repeats until a prominent dam forms. This then backs up moisture under the roof’s edge, leading to water intrusion. The weight of the ice dam brings about gutter damage. No matter how durable gutters are, they are designed to carry the weight of moving rainwater, not solid ice. If left unaddressed, the gutters would fall off from the weight. It can also form icicles along the roof edge, which pose a risk. You should also consider that the heat leaking through the roof can be detrimental to energy consumption. 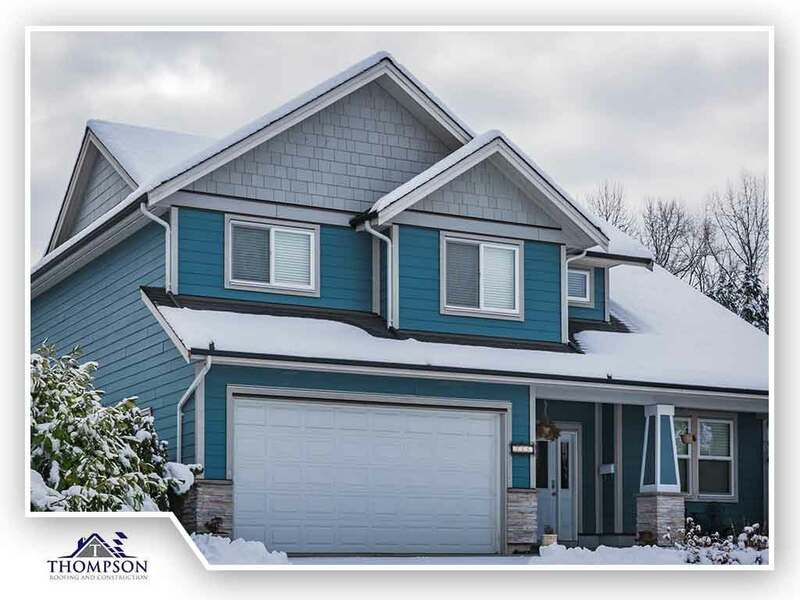 The reason homes in high-snowfall areas have steep-sloped roofing is that accumulated snow is much heavier than it looks. If the roof isn’t well-maintained or if it already has structural issues like moisture-damaged trusses and rafters, a roof collapse is likely. Have your roof inspected by a professional roofer early; we can determine if your roof has the structural strength to withstand the winter season. If heat is leaking through the roof, there’s a good chance that the attic has cold spots, which leads to condensation. The presence of moisture in the attic can result in several problems, given that readily wood absorbs moisture. This means there’s the danger of damage to the roofing structure and insulation as well as mold and mildew growth. To learn more about our services as a roofing contractor, call Thompson Roofing and Construction today at (256) 251-5566. You can also fill out our contact form to schedule a free, no-obligation quote. We serve Huntsville, AL, and the surrounding areas.